Let us tell you why it truly is a fabulous island to visit or live on! We love Aruba because of its friendly people, its sunny weather, and the fact that there are no natural disasters occurring here. No hurricanes, no earthquakes, nor hardly any rain! In fact, one of its assets is its safety – our visitors and homeowners feel happy knowing that Aruba enjoys the lowest crime rate in the Caribbean! As well, the island’s government is stable and run under Dutch law as we are a Dutch protectorate, and there is never anything to worry about. If there were any issues whatsoever, the Dutch Marines stationed on our South Side are here to help & protect us. Why Aruba? Because no where else is safer and more secure, has so much to see and do, nor has better weather! We can enjoy every single day all year round, with the island’s breezes to cool us from the sun and the beautiful blue sea to float, swim, snorkel and dive in, For surfers, kite surfers, and windsurfers, Aruba is PARADISE! The constant trade winds that cool us down are an aid to sailing across the sea on their favorite board and being transported while they experience calm and beauty. For divers and snorkelers, it is not necessary to go on deep dives because most everything to see is only 60 feet down! Dive or snorkel around authentic shipwrecks and natural coral reefs, and experience our rustic nature where cacti rules as home to distinct, indigenous flora and fauna. Enjoy nightlife and exquisite meals in our casinos and numerous restaurants. There is never a dull moment in Aruba. Nobody can ever say that there is nothing to do! We also feature skydiving, submarine trips, sailing excursions, live entertainment and lots of fun fun fun! Life is a beach, and a party too! But you can just relax in a hammock and put your feet up, read a book and do absolutely nothing to your heart’s content! Relax, enjoy, and know that there is no better place! Aruba is the only island where it is SAFE to walk almost anywhere 24 hours a day without having anything to worry about. Nowhere else can make that claim! For home or condo buyers, Aruba’s structures are all of concrete block and very secure & strong. 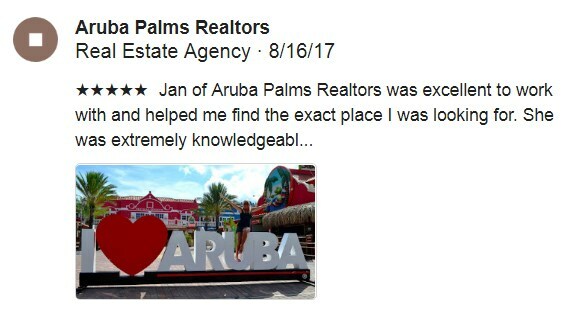 As well there are more than 4000 properties for sale in Aruba, driving prices way down and much lower than most other places! 3 bedroom, 2 bath villas start at less than $200,000.=! Let us show you some of our most beautiful vacation homes so that you can consider owning your place in the sun. We’ll pick you up! Find your piece of paradise in Aruba! It’s easy! Let us show you how!